Walker & Dunlop, Inc. (NYSE: WD) (the “Company”) announced today that it structured a $93,925,200 loan with the United States Department for Housing and Urban Development (“HUD”) for Polyclinic Apartments. The Section 8 property provides affordable housing units to tenants in the Hells Kitchen neighborhood in New York City, one of the most expensive areas of the country. The Walker & Dunlop team, led by Chris Rumul, arranged the financing via HUD’s 223(f) program for Standard Communities, the affordable housing division of Standard Property Company (the “Borrower”). The loan not only provides acquisition financing, but will also allow the Borrower to make immediate repairs and fund future renovations. In conjunction with the purchase, the Borrower preserved the existing 151 affordable housing units by renewing the property’s 20-year Section 8 HAP Contract and obtaining a 35-year Article XI tax abatement approval through the New York City Department of Housing Preservation & Development. Located on West 50th Street, between 9th and 8th Avenues, Polyclinic Apartments is ideally situated just blocks away from Central Park. 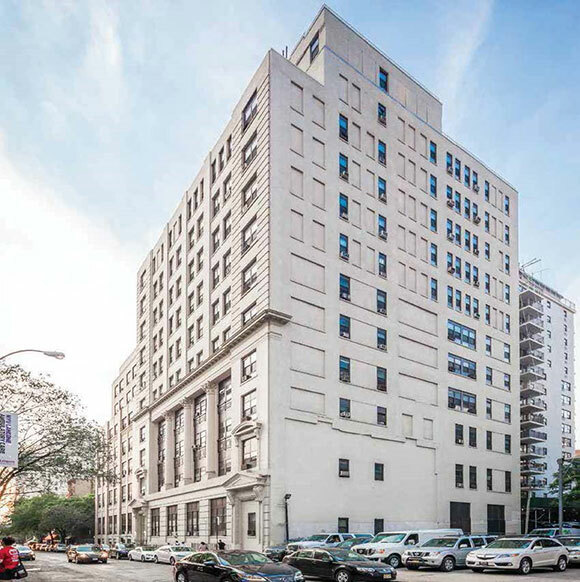 The property is in close proximity to mass transit, including the 50th Street Subway station, which is on the same city block. The historic building in which Polyclinic Apartments is located was originally constructed in 1910, and a large addition was made to the property in 1930. Formerly a local hospital, the building underwent a complete renovation and conversion to multifamily apartments in 1981, when it was first awarded a Section 8 HAP Contract. The community has maintained an average occupancy of 99.4 percent over the past three years and maintains a waiting list exceeding 180 potential tenants, thanks to its affordability and desirable location. Walker & Dunlop is a leader in the multifamily lending space, ranking within the top five largest multifamily lenders with Fannie Mae, Freddie Mac, and HUD. The Company has also increased its lending on affordable rental housing in 2017, originating over $960 million in loans for this asset class in the first half of 2017, up from a total of $622 million in 2016. Standard Communities is the affordable housing division of Standard Property Company (SPC). SPC is a full-service, multi-family real estate investment and management firm. SPC invests in multi-family real estate in primary United States markets. The firm owns more than 10,000 residential units (including approximately 7,100 affordable units) and more than 50 retail spaces across the United States. The organization operates out of offices in Los Angeles, New York, Washington D.C., Seattle, Chicago, and Orange County, California.